Global warming: News items about climate change. A lot of news has bubbled up about global warming over the past few days, and devoting a post to each one would be a) carpal tunnel syndrome-inducing, and 2) depressing as hell. So in the manner of ripping off a Band-aid quickly, here is a torrent of global warming info, and as usual it’s about reality and the foes thereof. First up: A clarification. I recently posted that 97% of global warming papers that take a stance on its cause say it’s human-induced. This has generated the usual amount of hot air (ha! haha!) 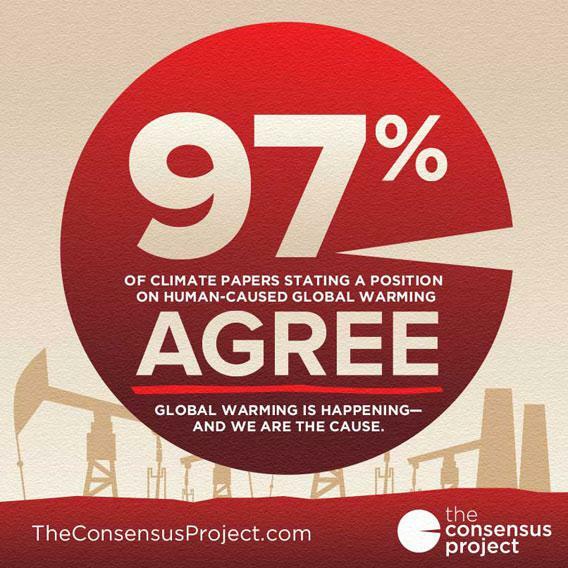 from the deniers, including the gem that consensus doesn’t equal reality. “Scientists once thought the Earth was flat!” they cry. That’s actually not quite true; ancient Greek scientists knew the Earth was round, and even how big it was. And who do you think replaces older, less accurate information with better understanding? Scientists! That’s a pretty big majority. Anyway, we on the side of reality know that consensus is not proof of global warming—the scientific evidence of global warming is overwhelming and obvious, as well as very easy to find. The actual point of discussing the consensus is that due to the relentless effort of deniers, the public thinks this is a real controversy. It isn’t. The consensus shows that the vast majority of actual climate scientists agree that global warming is real, and we’re to blame. Representative Lamar Smith (R-Tex) is head of the House Science Committee, and also a major global warming denier. He wrote an OpEd in the Washington Post recently that is a atrocious bit of nonsense typical of the genre. 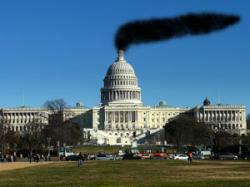 Some members of Congress love to blow smoke. Smith’s false claims are ably dismantled at Climate Science Watch, which has links and references. Smith is an interesting case: he’s also trying mightily to politicize the National Science Foundation, but at the same time is a strong advocate for NASA and space exploration, and other fields of science as well. This makes him less of a caricature than, say, Georgia Representative Paul “Evolution is a lie from the pit of Hell” Broun, but serves as a good example that ideological compartmentalization affects all of us, and we all suffer from cognitive biases. We need to be aware of them, and we especially need to be aware of them—and call them out—when our duly elected representatives display them. It’s not clear to me why some people deny the fact of global warming. It may be ideological, or it may be due to funding sources (like huge amounts of cash dumped into denial by fossil fuel companies and the Koch brothers). Or it may be both. On MSNBC, Chris Hayes has a pretty scathing expose on this, saying we need to follow the money, and also trace the religious belief used to bolster denialism. That last part is no joke; a recent study showed that a chunk of people really believe in Biblical end times, and this colors their attitude about such things as climate change. Remember, in 2009, Representative John Shimkus (R-Ill.) quoted the Bible in Congress—specifically commenting on climate change—saying that only God can declare the time when the Earth ends, and that “man will not destroy this Earth.” And he still sits on the Committee for Energy and Commerce. Photo by Big Picture Science. 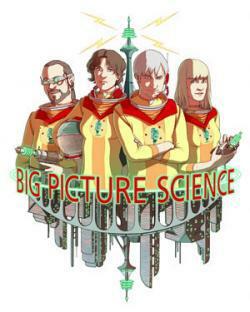 I did an interview with my friend and astronomer Seth Shostak on the SETI radio show Big Picture Science, talking about the awesomely terrible claim that more carbon dioxide in our atmosphere is great for plants. That whole show is about global warming, and it’s well worth your time to hear. So what do you do when confronted by a denier, who says CO2 is good for us, or that ice is increasing, or that the Sun is the cause of warming? What you do is refer to this fantastic list of 99 one-liners rebutting denier claims. It’s one-stop shopping for quick retorts to these talking points. It’s lengthy, but good, and has links to more detailed rebuttals and science as well. And you should always have Skeptical Science on your bookmarks. It’s one of the first places I go when I see some new climate antiscience that pops up in the deniosphere.